Use the peace and quiet of the farm to recharge your creativity and plan for the future of your business. Enjoy Mango Hill Farm’s stunning surrounds and clean fresh air. Our excellent indoor and outdoor facilities are available for your exclusive use during your conference. Mango Hill Farm is the ideal environment to refresh your mind, your body and your commitment to the challenges of leadership. Work undisturbed in the farm’s air-conditioned, fully-equipped conference centre. Relax in the serene surroundings with our friendly farm animals and our lovely gardens. Enjoy a great range of recreational activities in clean hinterland air. 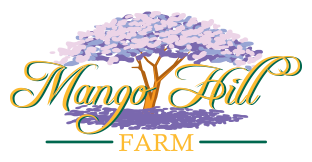 Mango Hill Farm can tailor a residential retreat, conference or training event to suit your individual requirements. Single or multi-day events are available.